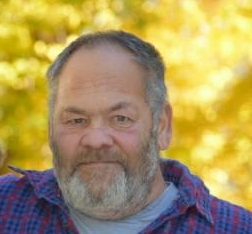 Richard D. Williamson, 52, of Oquawka, IL, passed away Wednesday, January 23, 2019, 7:45 p.m. in Oquawka, IL. He was born Sunday, December 11, 1966 in Canton, IL the son of Virgil D. and Alice F. (George) Williamson. He married Melanie Hays on April 26, 2002. He is survived by his wife Melanie of Oquawka; his mother Alice Smith of Abingdon; three sisters Toni (Jon Mallory) Grove of Galesburg, Cindy (Bernard) Snider of Canton, and Beverly (Terry) Harrison of Galesburg; his father and mother in-law Bill and Marilee hays of Oquawka; many nieces and nephews. He was preceded in death by his father, and 1 infant child. He grew up in London Mills, IL and graduated from Valley. He loved his fur babies. He never knew a stranger and had a huge heart, he would help anyone he could. He loved hunting, fishing and mushroom hunting, especially with his father. He loved his family especially his nieces and nephews. Visitation will be Tuesday eve, January 29, 2019 from 5:00-7:00 p.m. at the Wise Family Funeral Home Roseville, IL. Cremation rites will follow the visitation burial will be at a later date. Memorials may be made to the Richard Williamson Memorial Fund. Please sign the online guestbook at www.wisefamilyfuneralhome.com. Wise Family Funeral Home Roseville is in charge of the arrangements.